Mike Agugliaro’s unique service business coaching company’s name changed to mirror its core philosophy. Success can only happen if you take the journey to identify why your business is getting in the way of your life and resolve to correct it. After nearly two years of coaching, mentoring and helping service industry professionals find their path to business success, ServiceKey Founder Mike Agugliaro has officially changed his company’s name to CEO Warrior. The change was made to better reflect Agugliaro’s vision and the strategies his coaching system uses to inspire and prepare owners and CEOs in the service industry for true business mastery. Continuing to offer a collection of proprietary resources to help service and trade professionals better manage their businesses, CEO Warrior sets out to share Agugliaro’s proven blueprint – first developed to transform his one-time struggling home service business into a company worth more than $23 million. The cornerstone of the CEO training company is its regularly-occurring coaching seminar series known as Warrior Fast Track Academy. These four-day events provide business owners with concrete tools to transform their business and management practices through industry-specific workshops and coaching sessions. In addition, CEO Warrior offers a suite of resources including webinars and podcasts with industry professionals, a weekly newsletter, a blog series and three books. Agugliaro’s first book, “The Secrets of Business Mastery” was an instant hit, and his newest books, “Secrets of Leadership Mastery,” and “Secrets of Communication Mastery” were recently released. To find out more about CEO Warrior and Mike Agugliaro’s other business mastery offerings, visit the all-new website, http://www.CEOWARRIOR.com. CEO Warrior is a business consulting and mentoring firm, providing tested and proven methods to defeat the roadblocks that prevent small to mid-sized businesses from achieving their ultimate success. By performing a meticulous business audit, CEO Warrior targets the specific areas each business needs to address, eliminate, enhance, or add in order to reach their business goals and attain what every business owner wants in the end: financial independence. 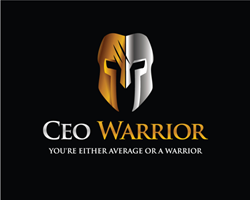 For more information about CEO Warrior, visit http://www.CEOWARRIOR.com.